Stop paying high hotel rates for meetings and events in Las Vegas, and make our space your space. 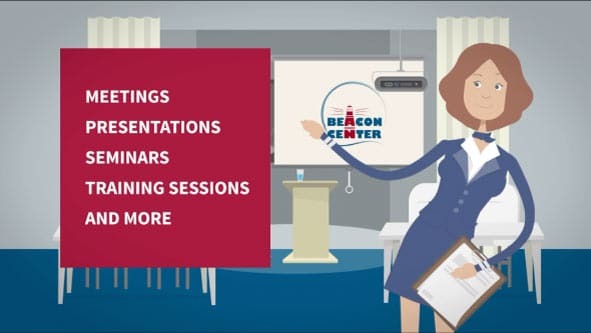 THE BEACON CENTER is the answer to your space needs. Boasting plenty of space for up to 80 people (50 people classroom style – our most popular setup), our uplifting and professional space is perfect for meetings with clients, giving presentations, conducting training seminars, or hosting mixers. Our space can even be used to celebrate birthday parties, baby showers, wedding anniversaries and more – the options to transform our space are almost limitless. Watch our 90 second informational video to learn more. Check out who uses The Beacon Center for their venue space needs.